LG made the G7 ThinQ official this morning in NYC. 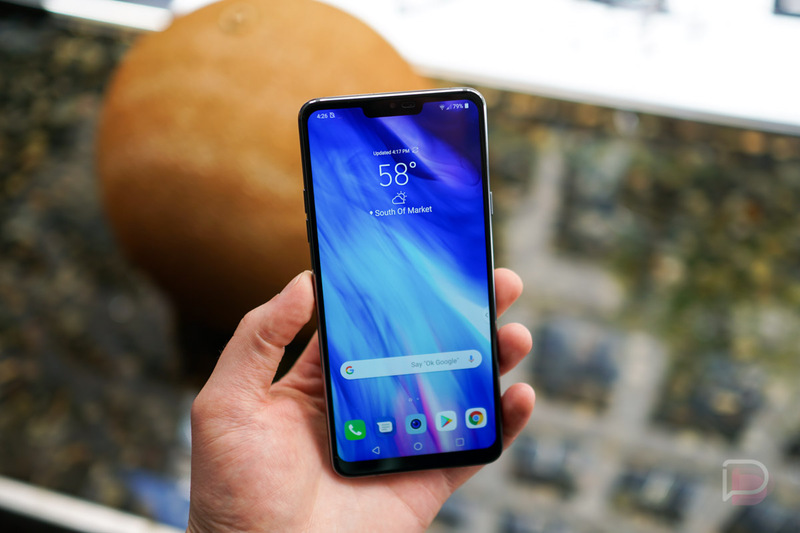 The G7 ThinQ features a 6.1″ QHD+ FullVision LCD display (complete with notch), Snapdragon 845 processor, 4GB RAM, 64GB internal storage, 3,000mAh battery, dual rear-facing cameras (16MP 71°, f/1.6 + 16MP 107°, f/1.9), USB-C, 3.5mm headphone jack, rear-facing fingerprint reader, 32-bit HiFi Quad DAC, water and dust resistance, as well as Android “Oreo” running LG’s UX skin with AI Pack 2.0 on top. For the big changes, there is the notch, which LG labels as the “New Second Screen” within the Settings menu. Users can choose between different looks or opt to have the software black out the two top corners for a more traditional look. When the notch is enabled, you have the clock and notifications on the left side, while the connectivity and battery remain on the right. The display itself has already been detailed by LG, described as a 6.1″ Super Bright Display. It’s LCD, not OLED, with a resolution of 3120×1440 and aspect ratio of 19.5:9. LG expects a 30% reduction in power consumption utilizing this LCD versus previously used displays. LG is also incorporating something it’s calling a Boombox Speaker, which was also detailed by LG previously. 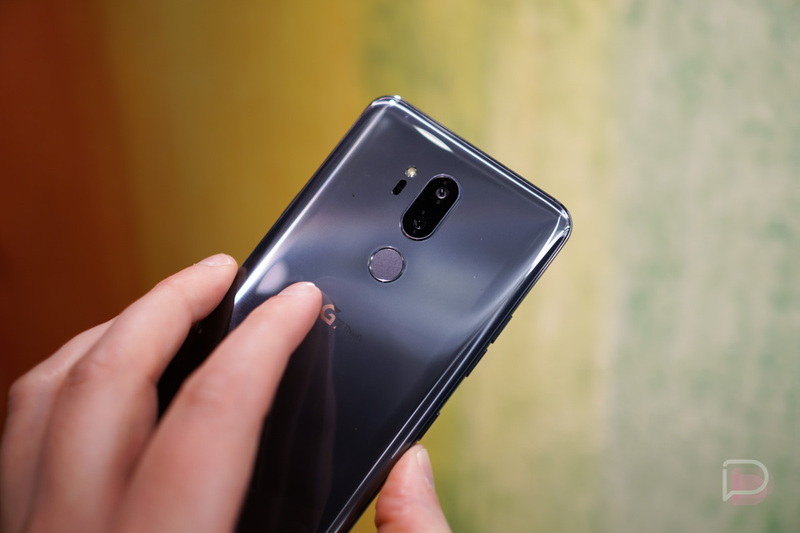 With it, the G7 ThinQ has a single external speaker on the bottom of the phone, but by utilizing internal reverberation, the phone can get quite loud. 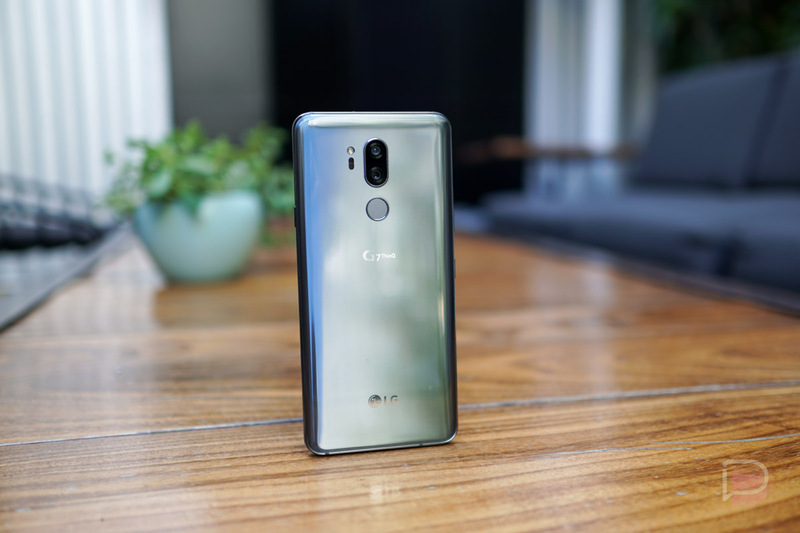 We had a bit of hands-on time with the G7 ThinQ recently and it’s not bad. The phone actually gets pretty loud when you place it down on a flat surface such as a table. The G7 ThinQ will also come equipped with a HiFi Quad DAC, as well as DTS:X for all of your audiophiles. More details on those things here. For the camera, LG is utilizing dual 16-megapixel shooters, but beyond raw picture taking, LG highlights its AI features inside of the camera app. When enabled, the phone can recognize shots from a massive library of identified images. In recognizing a shot, the camera offers filters based on the scene, which can be hit or miss from our brief experience. The cameras also offer a Portrait Mode, as well as the same Super Wide Angle feature that was showcased in last year’s V30 and G6. G7 ThinQ will also come equipped with a dedicated Google Assistant button on the left side of the phone, below the volume buttons. With it, you can quickly gain access to Assistant for speaking commands and doing anything else you use Assistant for. Since we’re talking about buttons, now would be a good time to point out that the rear-facing fingerprint reader does not double as the power switch this year. A dedicated power button is now located on the right side of the phone. Honestly, that’s one of the best changes. So far, we have availability from US Cellar and Sprint, with both carriers launching the phone June 1. Sprint will host a pre-order beginning May 25. As we receive more availability details, we’ll update this post. Will you be picking up a G7 ThinQ?